We have adjusted the star rating based on our customers&apos;feedbacks, cruise service, and cruise facilities. China Highlights offers instant Yangtze cruise online bookings! Pay now to avoid price rises, get FREE UPGRADE for better views. Deck Upgrade: The prices are based on the standard cabin. Customers need to pay an additional fee (RMB 200 to RMB 600) based on the floor of the ship. 2.Prices may vary according to your travel time and are higher than above price list during Chinese National Holiday and Chinese Spring Festival. Contact us for the detail price. 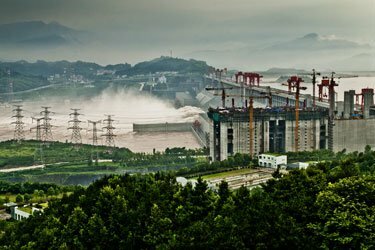 3.Tipping - All passengers (not include Yangtze Gold Cruises) sailing between Chongqing and Yichang are required to pay $23/RMB150 per person as service charge. The service charge is payable at the time of boarding. 4. Pay the cabin tickets one month before ship start, get FREE UPGRADE for better views. You can also choose upgrade when you check-in, usually deck upgrade prices are based on the standard cabin. Customers need to pay an additional fee (RMB 200 to RMB 600) based on the floor of the ship. Welcoming Banquet, Dancing Party, Shore Excursion to Shibaozhai (2:00–4:00pm). Optional tour to Fengdu Ghost City(RMB 280 per person). Qutang Gorge, Wu Gorge; Shore Excursion to Shennong Stream (1:30–5:30pm), Crew&apos;s Performance. 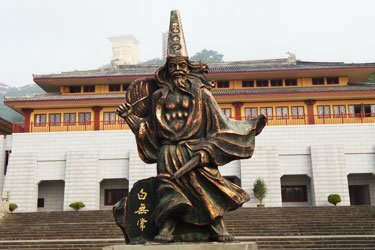 Optional tour to White Emperor City(RMB 280 per person). Have buffet Breakfast on board, and disembark at Maoping pier of Yichang. Shore excursion to the Three Gorges Dam Site Take a bus to Yichang say goodbye. Arrive at Maoping Pier from Yichang to board the ship. (Dinner is not included). Pass though the first gorge, Xiling Gorge. Shore Excursion to the Three Gorges Dam Site. Pass though the five stepped ship locks. Captain&apos;s Welcome Banquet. Captain&apos;s Welcome Banquet. 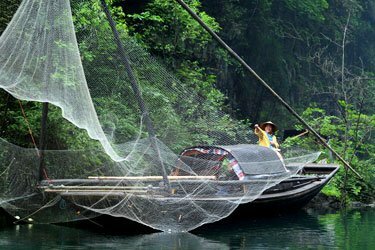 Optional tour of Three Gorges Tribe Scenic Spot (RMB 280 per person). Shore excursion to Shennong Stream (8:00am–12:30pm). 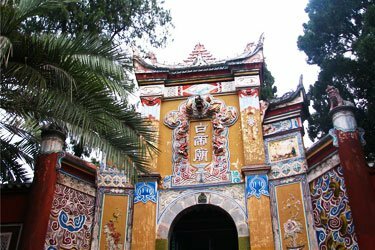 You have the option of visiting White Emperor City (RMB 280 per person). 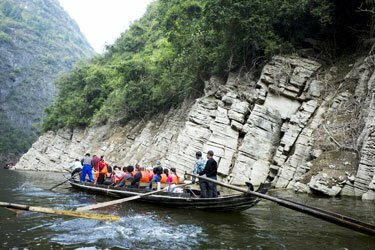 Pass though the second and third gorges: Wu Gorge and Qutang Gorge. Crew&apos;s Performance. Shore excursion to Shibaozhai (08:00-10:00). Captain&apos;s Farewell Banquet. Night on the Yangtze River-Gathering Party. 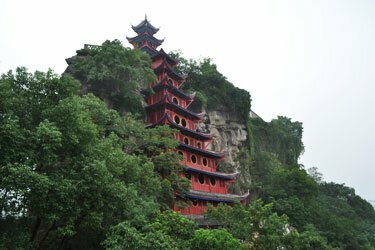 Optional tour of Fengdu Ghost City (RMB 280 per person). Arrive in Chongqing at 9:00am. Note: The fee of the optional tours should be paid by cash or credit card on board. Similar to the deluxe President 7, the President 8 has the same state-of-the-art design. It is a new cruise ship on the Yangtze River, which had its maiden voyage in April 2013. The President 8 is a large cruise ship with a length of 146.8 meters. There are three kinds of cabins on the President 8: 215 luxury standard rooms, 13 luxury executive rooms on the top deck, and 2 presidential suites at the fore of the third deck. 100 of the standard rooms can be upgraded into triple rooms for families. The ship may depart from Fengdu because of low water levels at Chongqing. Passengers are transferred from Chongqing to Fengdu by bus (4 hours) for boarding in the event of insufficient docking depth at Chongqing. Large rooms: Each deluxe standard cabin has a total of 27.5 sq. m.! Private balconies: all rooms have a private balcony. Advanced design to reduce disturbances: The new design puts a clear division between public areas and resting areas so that guests can rest easy. The largest indoor constant-temperature pool among inland cruise ships. Shows on ancient Chinese clothes, lectures on Chinese history and medicine, Chinese tea ceremonies, and tai chi exercises take place during the trip. Book the VIP restaurant when boarding the ship for better dining environment. Learning mahjong is provided at Mahjong Room on 5th floor. Deck outside the performance hall on 5th floor is better for appreciating the Yangtze River scenery. Note: The staff on the ship can prepare vegetarian food for our customers. Please inform our travel advisor if you want vegetarian food on the ship. Take care of your belongs when you disembark and go upstairs. Your guide will pick you up at the exit. Want a stress-free and time-saving way to get to the cruise Port from the airport? China Highlights can provide you with comfortable private transport straight to the Port. Contact us and we can also help you arrange your Yangtze cruise.